Last Friday in my post Sole Inspirations, I mentioned that I was going down south. 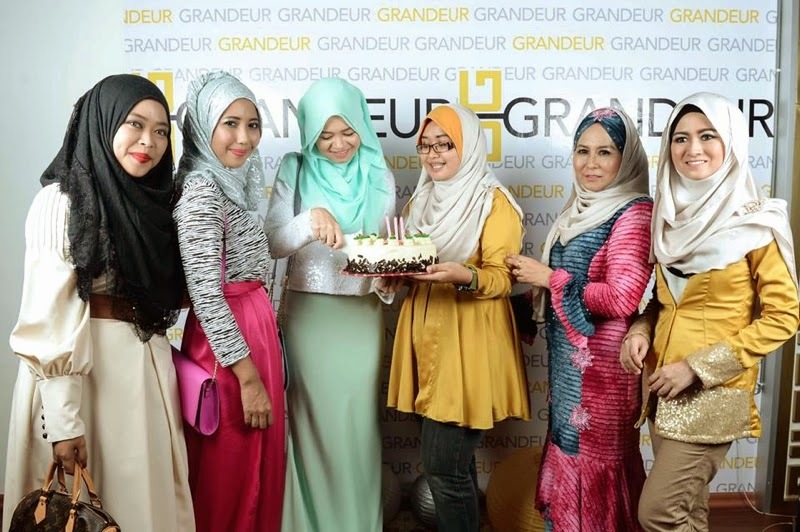 In A Golden Night I also shared how I spent my special and intimate birthday dinner last Saturday in Johor Bahru and what I wore. 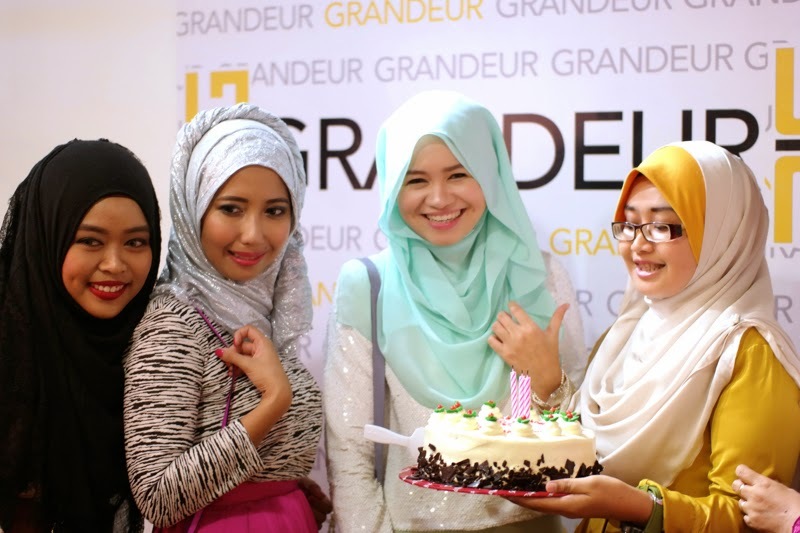 So, why was I in JB during my birthday? 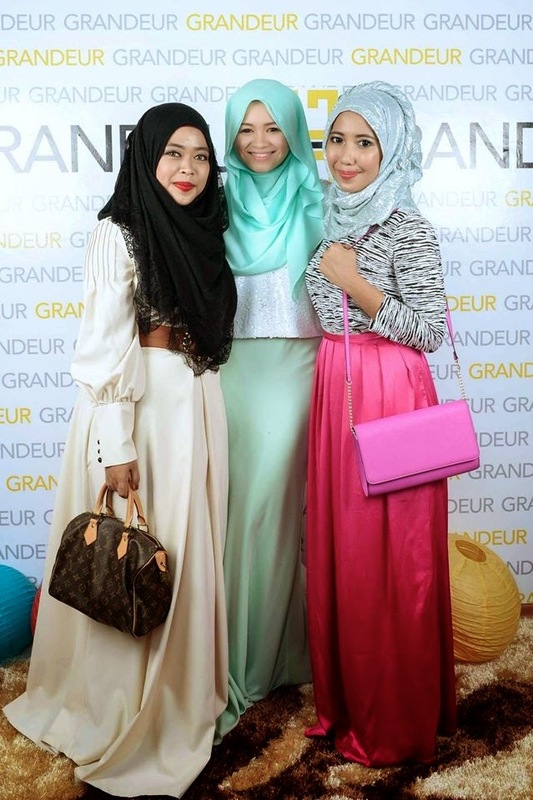 Well, Shea Rasol invited me to join her and Aida Sue to check out the launch of Grandeur Malaysia's boutique in Johor Bahru. I can hardly say no to any meet up with the sweet Shea Rasol (especially one that involves travel!). I've grown quite close to Shea since we first met, more so when we travelled to Jakarta together a few months ago. She's really an amazing girl who has a lot of talents: and now she started hosting already! I haven't seen her in the past 2 months so when she invited me for a trip down south, I just thought it would be nice to go. I also thought that this year, it'd be a nice change of scenery to celebrate my birthday down south with my husband. My husband grew up in Johor Bahru, and he's always excited to bring me around his hometown to show me where he used to live, his school, lepak spot, etc etc. (We also went to JB few months ago, see Sofina 2.1 in JB) so it would be killing two birds with one stone. 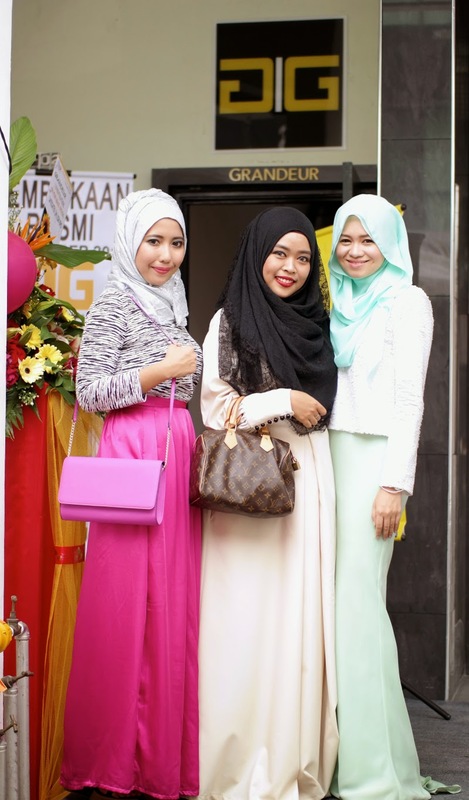 The launch was a grand one with 3 or 4 tents outside the boutique. 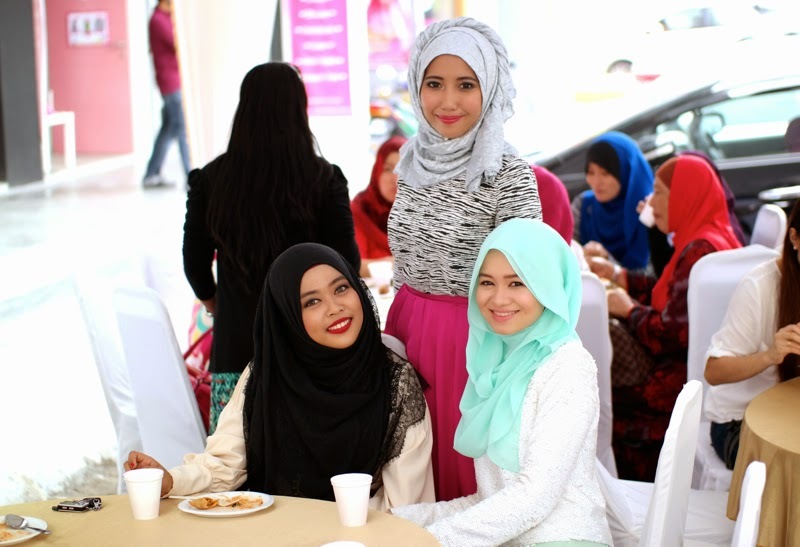 The launch was held from 11.00 a.m to 6.00 p.m and there was a huge crowd throughout the day. We had a good time mingling and talking to the JB peeps. 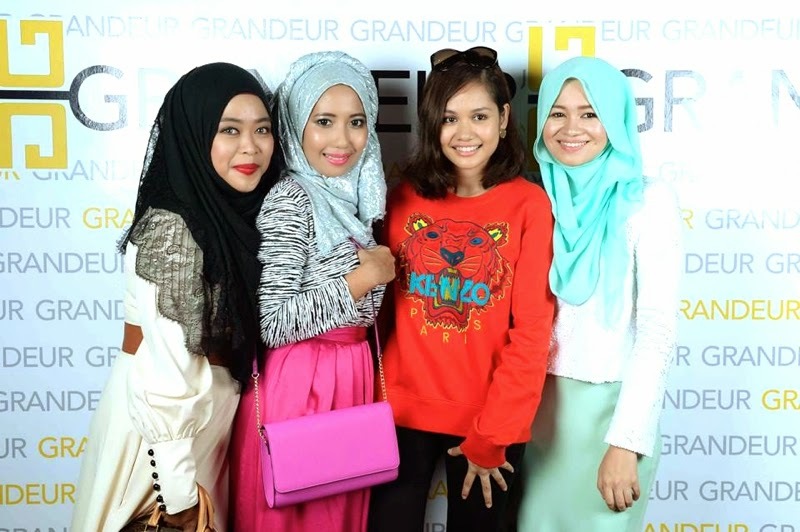 At around 3 p.m, liyana Jasmay came as the special guest for the Grandeur Launch. Naturally, the crowd went wild at the talented and petite artiste appearance. She was such a sweetie and naturally charmed the audience. I arrived slightly after 12.00 o'clock and after I settled down with a drink under the tents, they invited me to enter the boutique. The invitation was made through a very loud announcement that I heard through the speakers. So I went up the stairs and the lights were switched off, and I initially thought there was no electricity. 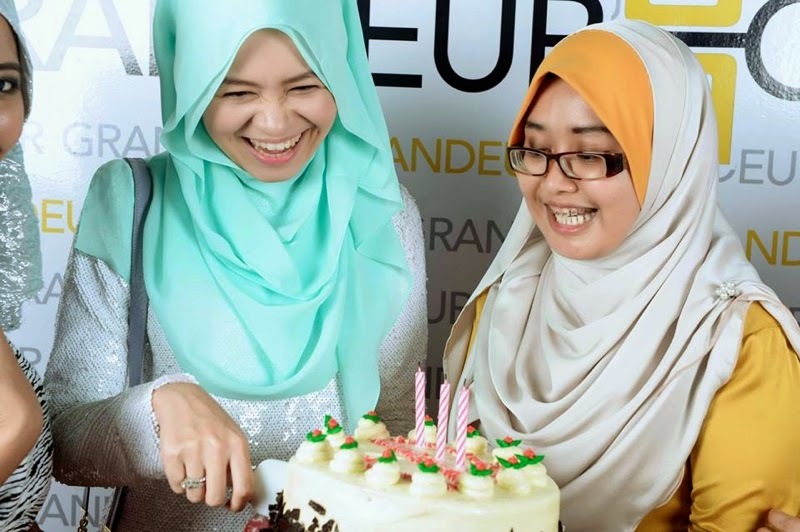 I was speechless when they surprised me with a cake as I entered. There were so many people waiting inside and they sang a birthday song for me. I totally didn't see that coming at all. Still recovering from the surprise, the outspoken and bubbly MC asked me questions right away. (I did not expect to be interviewed as soon as I arrived too)! 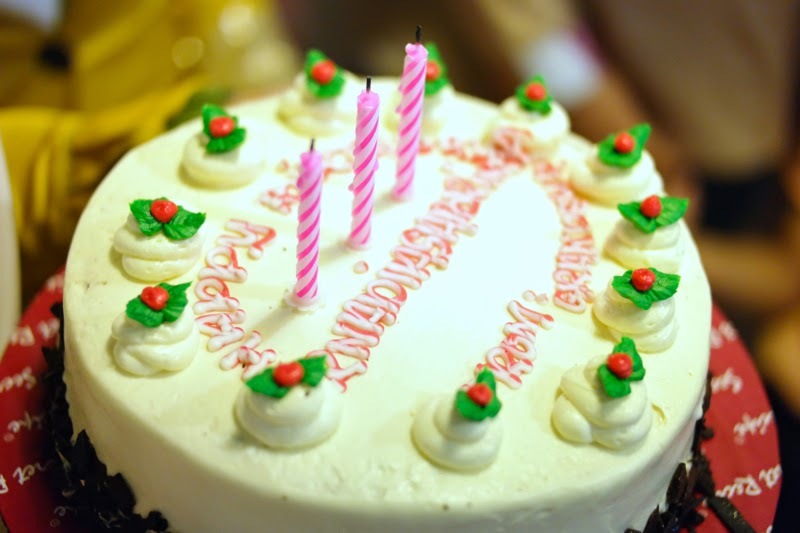 They interviewed me about the blog and my birthday. 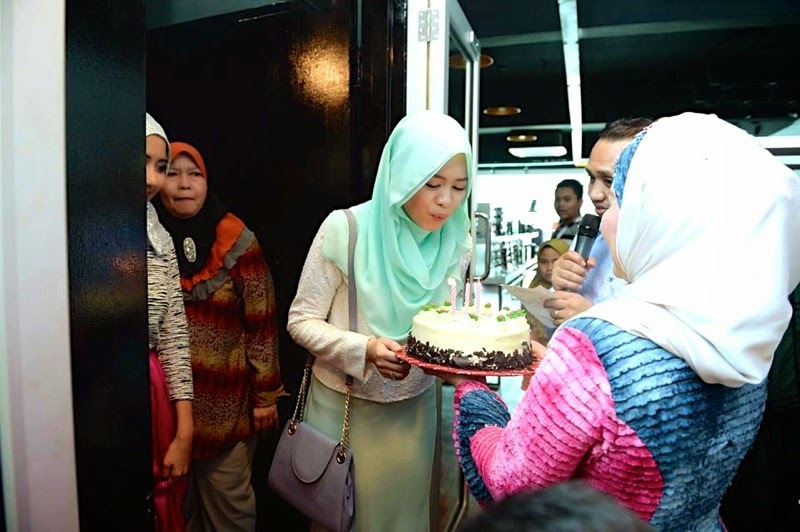 I must say I was quite overwhelmed but nevertheless I am grateful that the lovely people of JB took all the effort to surprise me and celebrate my birthday in Johor. 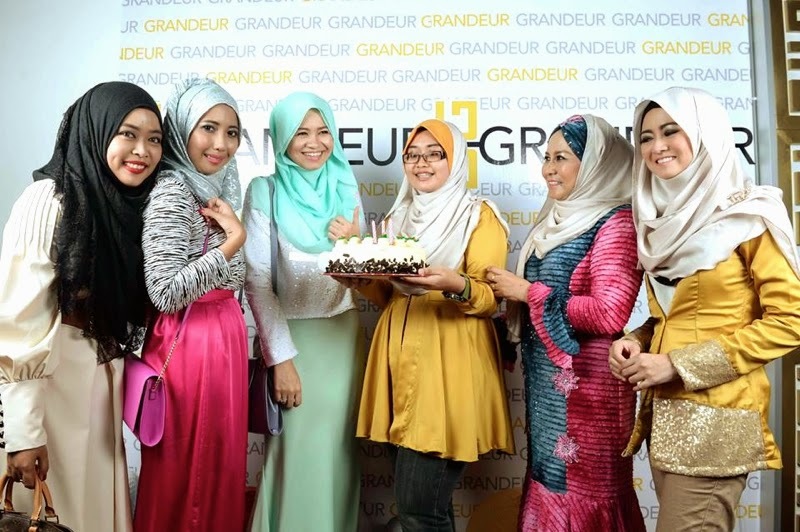 The concept of Grandeur Malaysia's boutique itself is quite the story. 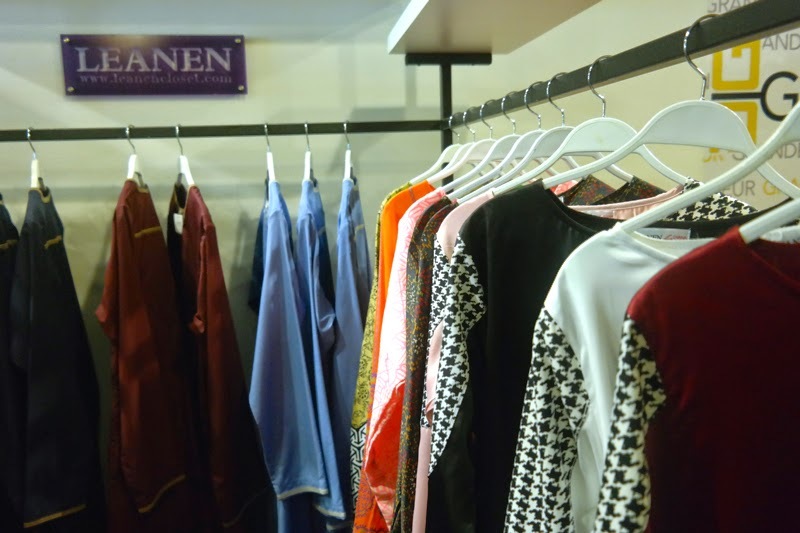 The mastermind behind this, Totin who is also a doctor by profession basically wanted to showcase several local fashion talents under one roof, to give the local Johoreans (and Singaporeans) a closer glimpse without having to travel all the way to KL. 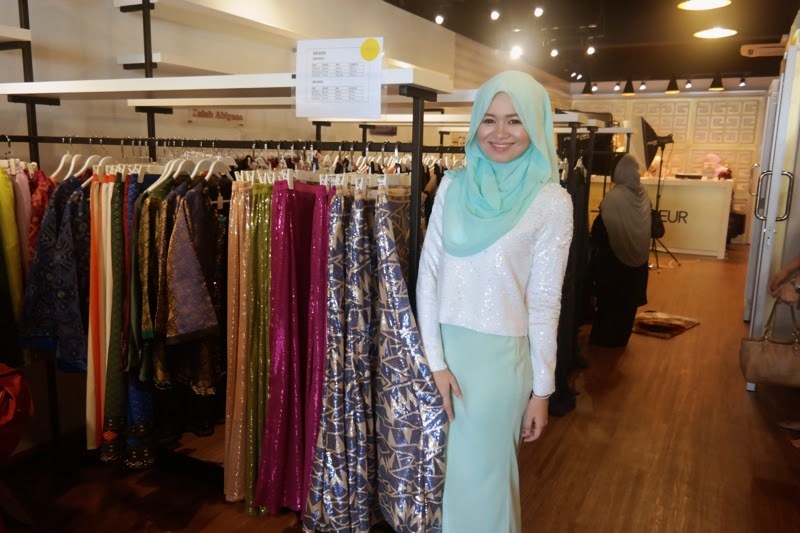 The boutique is located in one of the newly opened shop rows in Bandar Baru Uda and the interior of the boutique itself was very tastefully done. The products were separated according to brands and despite the many, many people in the boutique, it was quite roomy and comfortable. 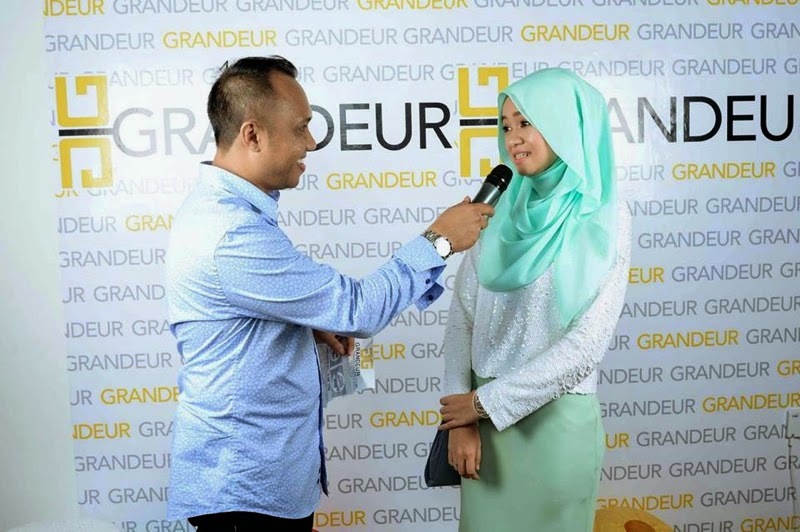 I browsed through the collections in Grandeur and found some brands which I have already known like the ones by my dear usrah friends Heliza Helmi (Falah Abiyana), Diana Amir (Diana Amir for Leanen Closet), Adrianna Yariqa (collaboration with Elfira Loy). 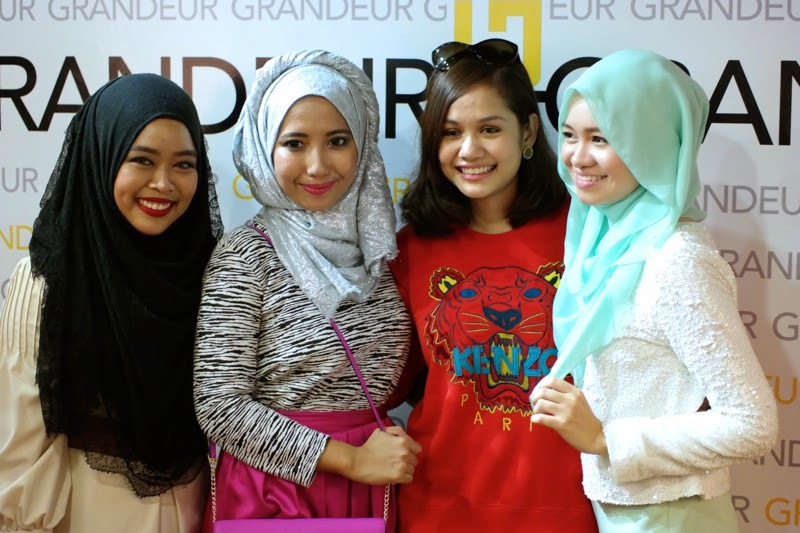 I was expecting to see Liyana Jasmay's brand too but she announced that she might put it there in the future. 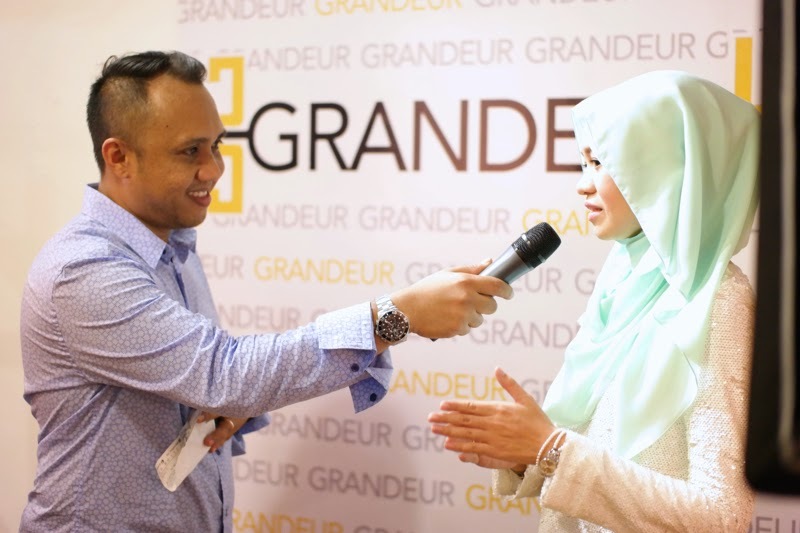 There are a lot of other up and coming labels too and the Grandeur team informed me that they are looking to put more brands in their store. Thanks for the gifts too Totin! All the best Grandeur and thanks for having me and your warm hospitality. If you're a southerner, go and check them out. I wore an aere top that day (but of course) and I will post about the look soon! So, any of my readers from Singapore and Johor??? Maybe I should think about putting aere in Johor and Singapore in the future too. Let me know if you are a reader from Johor or Singapore and if you would like that idea. Hehe. the skirt that you were holding in the picture is so nice!